California just passed a law requiring local and state law enforcement agencies to track the race of everyone stopped by police. Supporters of the bill, as always, say it’s a tool to prevent racial profiling in policing. Critics of the bill say it’s a bureaucratic nightmare that will only make life harder for officers. “It’s a terrible piece of legislation,” said Lt. Steve James, president of the Long Beach Police Officers Association and the national trustee for the California Fraternal Order of Police. Rosa Aqeel, the legislative director of PICO California, a faith-based advocacy group that lobbied heavily for the law’s passage, said it will replace anecdotal evidence on stops and contacts with actual data. Lt. Craig Lally, president of the union that represents Los Angeles police officers, called the new measure “another one of these feel-good laws” that will be impossible to enforce. Keeping detailed records of every traffic stop’s race does not take into account variables that affect the data. Certain areas have different percentages of races at different times of day, year, etc. 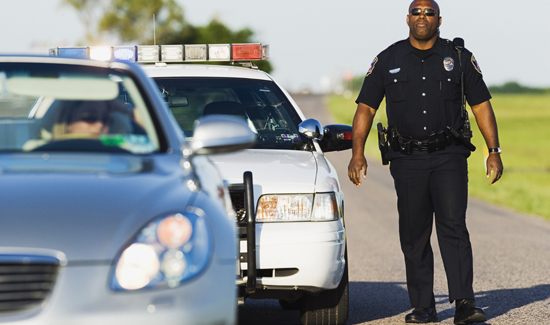 if an officer’s stops are 70% male blacks in an area where, during his shift, a large majority of that race regularly drive through his beat during the night shift, but the day shift has large volumes of all races during the day (say a retail-zoned area), but during holiday seasons the stores remain open much later, then the numbers of each race are greatly swayed by these situations. To get s good breakdown of what is “normal” will take years, and that data would also be affected by economic trends, drug abuse problems moving in/out of the area, etc. There’s no easy marker that can cover the profiling issue other than a good supervisor who knows his/her officers and the beats they cover. The comment above saying there is criminal profiling is correct. A good cop knows when a vehicle is out of place. Then it takes diligence to find a legal reason to stop, and the intelligence to spot indicators of criminal activity. The majority of my career was spent on 3rd shift, where I couldn’t even see the race(s) of the vehicle occupant(s) until I turned on my takedown lights. I couldn’t even tell you a guess at the racial percentages of my stops. What I CAN tell you is proactive policing lowers criminal activity in the areas where diligent police tactics were used.